WhatsApp is recently launched new features that are called WhatsApp Group Video and Audio calls. This new Group video and audio feature are available for its all users. For starting this new feature of WhatsApp all Android and iOS user update their app to latest version. WhatsApp allows the user to add another contact while making a video call or audio call. At least you can add up to three contacts on a video or audio group call. To make Group video call or audio call is very simple if you follow some steps below mentioned. At the time of video call or audio call, you can see an icon top right side corner. Click or Tap on the icon and you can add a member to the video call or audio call from your contact list. At the time of group Video call or audio call WhatsApp the receiver also can add a member. You can use this new Group video call or audio call feature on both beta or stable version of WhatsApp. WhatsApp also said that stickers may roll out for the messaging App. In this way, you can make Group video calls or audio calls on WhatsApp simply. 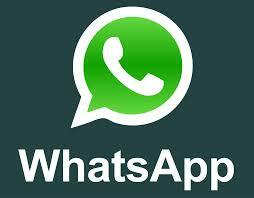 Upcoming day WhatsApp may bring some new features for all its users. You also join us on social media.